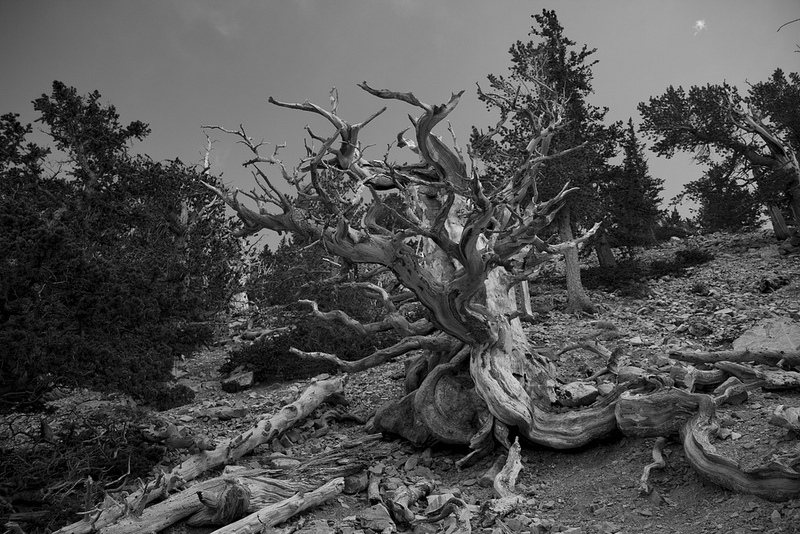 Apparently, Great Basin is one of the least visited National Parks in the United States, averaging about 85,000 visitors per year. I camped at Wheeler Peak campground for two nights so that I could see as much of the park as possible, including a tour of Lehman Caves, a hike up to Rock Glacier, and reaching the summit of Wheeler Peak (13,063 ft) — in an apparently quick time of 1 hour, 55 minutes! 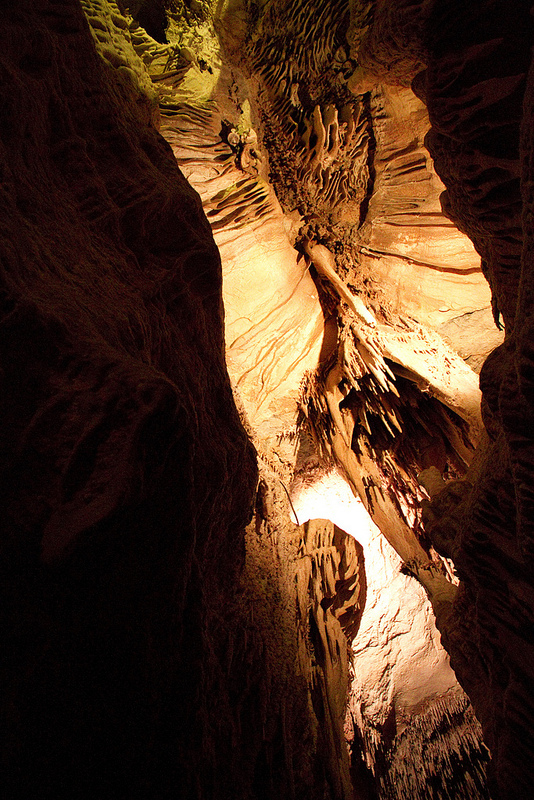 No tripods or flashes were allowed on the cave tour (for completely understandable reasons), so I did the best I could with an ISO of 6400 and the image stabilizer on my 18-135mm lens. 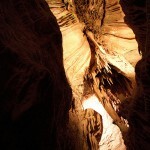 Considering these constraints, I think the cave pictures came out quite well! 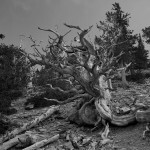 I can now say that I’ve seen and touched trees one hundred times my own age – many of these Bristlecone pine trees are estimated to be between 3000 and 3200 years old! There was actually a fairly nice interpretive loop trail set up through the pine grove on the way up to Rock Glacier — very informative, and a rather emotional experience. 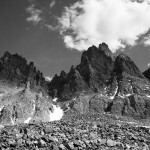 As I stood on Rock Glacier beneath the towering spires of Wheeler Peak, the magnitude of the rocks was overpowering. 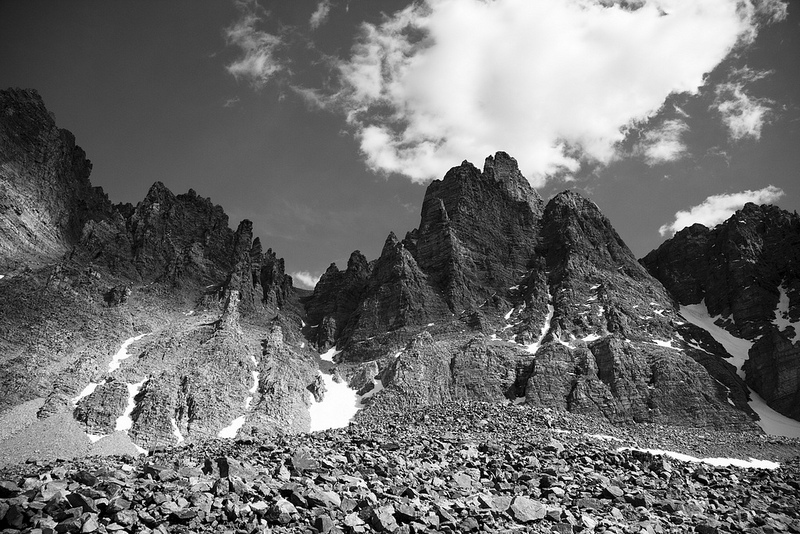 I did my best to capture the power of these rocks with the lens I had on my 7D (in this case the same 18-135mm). I decided not to haul a tripod (or any of my camera bag, really) up the hill with me. 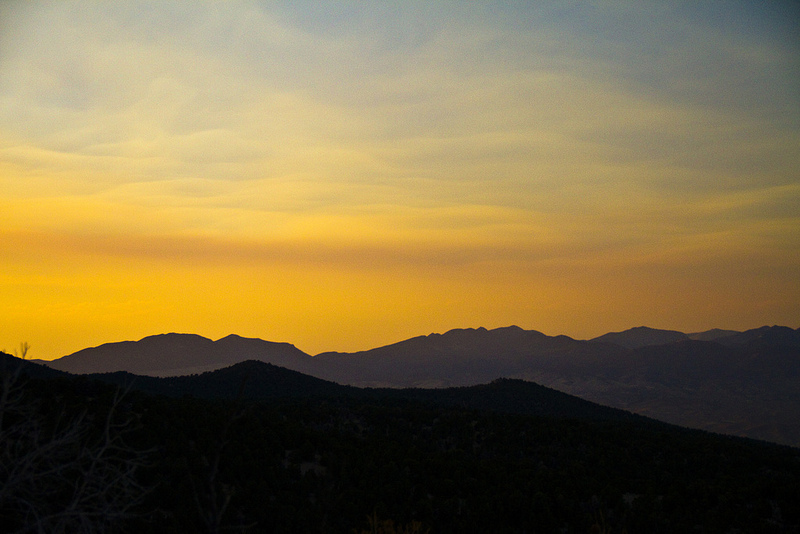 The next morning I topped Wheeler Peak, and after an afternoon nap, I decided to see if I could get any good sunset pics. Coincidentally, this was also the night of the full moon. 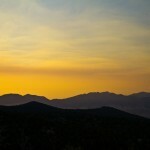 I drove slowly down the 12-mile stretch of road connecting Wheeler Peak camp (at 9800 ft) to the Lehman Caves visitor center, looking for best spots to capture the sunset. I settled on a view of the range you see here, and I think it works pretty well. As I was snapping shots (yes, with a tripod this time!) I happened to turn around, and my jaw hit the ground. 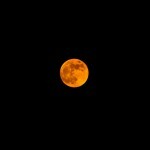 The huge full moon you see here was just peeking above the other mountains. I couldn’t believe my eyes, and I quickly broke down my gear and raced back up to another overlook with a better eastern view. I whipped out my 100-300mm lens and (if I remember correctly) threw on a polarizer — I don’t have any ND filters for that lens (note to self…). All in all, a successful couple of days shooting! Check out the entire set on flickr.